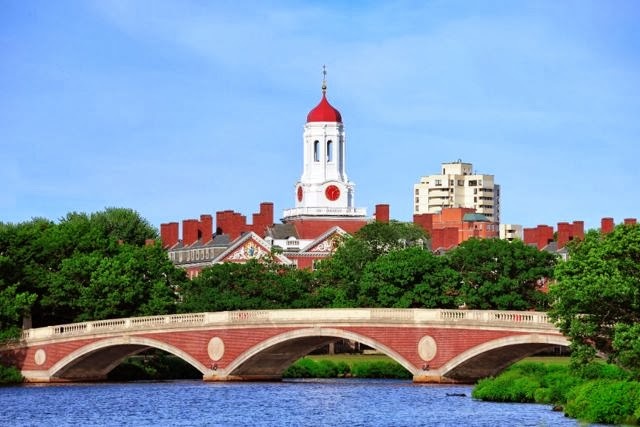 I got to return to Harvard to give a talk to students at the Kennedy School of Government. Good Fruit Grower will soon launch new Web site. 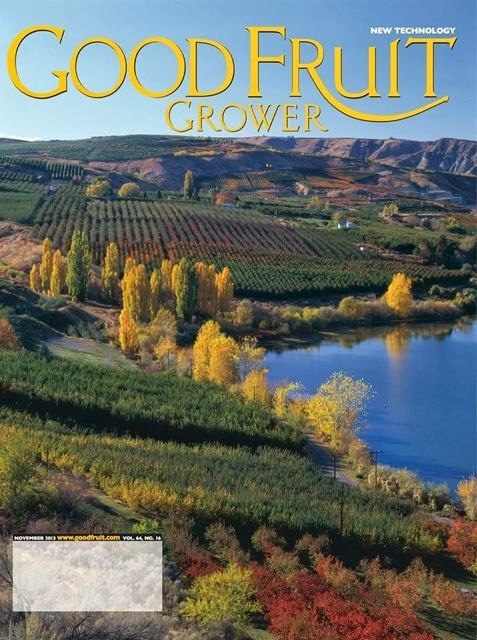 Welcome to the Good Fruit Grower issue themed on technology. On that topic, I’d like update readers on how we’re using digital tools to serve growers better. 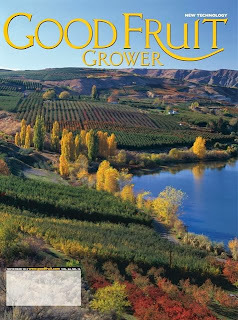 Good Fruit Grower began in print in 1946. The magazine moved into the digital age in 1996 when it launched a Web site. The current site reflects a 2009 redesign. Today, our Web site needs to change again. We need to think of the Web as not just a repository of printed matter, but another platform with unique benefits. That’s a big message we got from a recent survey of readers and advertisers. People love our excellent print product, with its gorgeous cover images, in-depth articles, and helpful charts and photographs. They don’t want our print product diluted by resources being shifted to the Web. Nor do they want our Web presence to serve as a mere depository of print articles shoveled into digital buckets. Make the Web site distinct and valuable, they said. Give us enhanced archives, better search capability, and galleries of video and still images. Give us a means for discussion and ­sharing. • Increasing bandwidth for desktops and mobile devices, via electronic pipes or over the airwaves, has made it possible for readers to tap large amounts of data. • Devices are getting smarter and more portable. Today’s grower with a question no longer needs to call somebody or sit down at a desktop computer. In the orchard, he or she can tap a screen and access live weather reports, research, or Good Fruit Grower pages. Applications built for mobile devices perform dedicated tasks tailored to a grower in a specific location. • Digital platforms such as Twitter, Facebook, and YouTube are making it easier for content creators such as Good Fruit Grower to push desired content to growers and allow them to share it with others. Because of technology, a grower today has many choices, including access to information and services from advertisers. That presents an obligation and an opportunity for our magazine to seek and present quality content. Part of this obligation is our comprehensive presentation of advertisers. Online, we must continue and enhance services to readers who want information from respected providers of chemicals, equipment, rootstocks, and other products for growers. So, how are we making Good Fruit Grower even more useful? We hired a digital producer, T.J. Mullinax, to work with editor Geraldine Warner and production manager Nancy Jo Born to improve print and online content with better photographs and online content, such as videos, that strengthen how we convey information to growers. We’ve changed our delivery systems to make our content easier to read on mobile devices. We reworked our Twitter, YouTube, and Facebook accounts to make content easier to find and share. We revamped eFlash so it’s easier to access and read. In the next few months, you’ll see a rollout of the centerpiece of our online strategy, our new Web site, goodfruit.com. Look for many improvements in presentation, navigation, and overall utility, including integration with our other digital platforms. We’re making a major leap in our services to growers, advertisers, and the overall grower community. Our commitment is to relentlessly seek ways to improve. But the real test is what you think. Let me know. Messaging: What's the most effective path to your point -- and you do have one, right? In a world where people get bombarded with messages, what's the most effective way to convey your message? Sometimes, you want to roll it in slowly or subtly. But often, respect the fact that people are busy. Respect the audience. Have a point and get to it quickly. Though my personal origins began as a writer, over time I learned that info graphics are incredibly powerful, perhaps surprisingly even in video. Here's a nice piece by Beth Kanter on graphics. I love the image of Legos (shown at top) sorted to make a point, a graphic credit to Hot Button Studio. Here's a link to one of my favorite videos using graphics to tell the story of the astonishing growth of social media, done by Socialnomics. ...And of course, something so dramatic and discussed couldn't get by without a parody. And this parody is pretty funny. iPhone 5. Thin, very thin. I stand among the irrational customers of Apple who got hooked on the Cult of the Mac and the late Steve Job's famed "reality distortion field." I bought the original Mac and stayed with the company during its worst years when some of its products were overpriced, not greatly superior in overall value and, gasp, not even that attractive. I also stand among those who follow the best in marketing and Apple is unsurpassed at engaging its base and igniting passion. The announcement today of Apple's new iPhone 5 is a case in point. Apple's Jony Ive: "Your iPhone...unique relationship." It's easy to make fun of designer Jony Ive's videos selling products, but they work (e.g., iPhone sales and Apple's share price). Ive takes an object and gives it a personality and presence that's almost too private to discuss in public. It's a "unique relationship." (He speaks respectfully). You'd hardly realize it's a handheld computer that so far has been a pretty lousy telephone. Where Jobs emphasized words like "magical," "revolutionary" and "amazing," making himself both CEO and responder to the Apple experience, Ive has shifted the ground to more objective but still effective language, chiefly "thin." It's almost as if Apple is selling thin. And nobody is complaining that a $2,000 or so device (counting cost of that 2-year contract) is now obsolete. Apple exists in the real world so each iteration of a product, however "revolutionary" at birth is only that, an iteration, as customers complained about the iPhone 4S (which nonetheless sold in huge volumes). In introducing the iPhone 5, the first emphasis goes to thin, hence my playful nomination of Twiggy as a name for the phone. This suggestion will fail faster than a Newt Gingrich run for the presidency because only the wrong demographic has heard of Twiggy, an ultra thin British supermodel from the 1960s. The iPhone 5 has some other improvements. It's also faster. But that can be said or even expected for any new computing device. The camera is improved, ditto for that. The screen is bigger, still no big excitement. What does Apple do? Interestingly, Apple takes you into the manufacturing process, where its innovations may be matched by others but certainly not presented in so seductively (how did they do that?). Apple makes its sausage making almost as desirable as its sausage. Few competitors even try to compete in this area of marketing. Apple engages the customer with the creation (idea) and execution (manufacturing). The product itself is a story, to borrow from another context, hope and change. It's a brilliantly executed effort at deepening customer passion by extending customer awareness into further reaches of the company and the brand. When you view the new Apple video promoting the iPhone 5, check out the relatively small amount of time is given to scenes of customers actually using the device. For this essay, I watched the video once. If it has muchvideo of customers actually interacting with others as they use the device, that did not stick in my head. I'm thinking of the solitary person shooting a panorama image, but mostly I'm thinking of Ive's bold positioning of the device as a thing of intimacy and desire. The bulk of the video makes a luscious presentation of a hunk of wires and silicon transformed into an object of art. Are you not entertained? Have you been moved so effectively at a deep level that you must have one, no matter what the price? That's how I got my first Macintosh. Apple does this so well. To buy is to belong. To buy is to gain cool. Brilliant. Microsoft's new logo -- a winner or a cracked Window? Janet Tu of the Seattle Times has a good piece on Microsoft's announcement of its new logo, the first change since 1987. Once a skeptic that logos were often overrated and over-considered, I've since learned that a logo can have a dramatic effect, good or bad. In Tu's story, she quotes a Wharton professor about how a logo is an instant communication of the brand, what's seen over and over by consumers and employees. Is anything communicated? Or is it just a graphic with no effect. Or, ideally, does it convey the authentic identity of the brand and help activate passion for the brand. Tu quote a Microsoft executive discussing the details of the logo -- and it's sort of talk that fuels skeptics who think a slight change here or a subtle change in a font is a bit like that hair cut given to the Cowardly Lion in Oz. Snip, snip here. Snip, snip there. I've learned, especially in working with a former colleague, Mary Olson, that a logo well considered, designed and executed can be powerful, and more so over time. Mary led an effort to change the Seattle University Athletics Redhawks logo. She did scores of refinements. In the end, the new logo looked similar yet far more powerful. Among other changes, she closed the bird's mouth (which I always thought looked like it was whining to referees) and added a bump to the beak so the creature looked tougher, more confidant, a winner. People like winners. The logo and other changes led to a dramatic increase in sales of apparel wear. Check out Tu's story to see how the Microsoft logo has evolved since 1975. It's hard to imagine that the 1975 logo was cool in anyone's mind. But so was really big hair in those days. Don't forget MSFT then was by geeks for geeks, not for corporations and later a world-wide base of customers. Microsoft's logo change coincides with a re-positioning of the company as a whole, shaking off the perception by some that the company had gone stale, though still hugely successful by anyone's measure. Microsoft has a bag of new products coming soon, most especially a new OS. The company astutely realizes this is a time to leverage those different product launches as an integrated campaign. Though some still may snicker at the brown Zune and other Microsoft efforts in the past, one of the company's great strengths was marketing. Great marketing involves risk and courage. Update: Seattle Times describes mixed review. Looks count. Shakespeare said clothes proclaim the man. Sometimes, the "face" of your organization is not what you expected. In an instant we went from Gabby's smile to Olympic sprinter Sanya Richards-Ross billowing hair to...wait! In that photo of the NASA engineers, famed for their Right Stuff crew cuts and pocket protectors....does that guy have a Mohawk??? 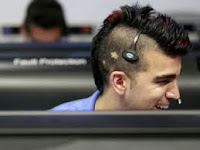 His name is Bobak Ferdowski. His hair and looks quite possibly upstaged, at least for a moment, one of NASA's greatest achievements in a decade, landing that explorer vehicle on Mars. Twitter quivers with talk of this rising star (pun intended). Suddenly everyone wants to know more about this man, already dubbed Mohawk Guy. His Alma Mater, the University of Washington, is celebrating its association. England's Daily Mail is examining the Deep Meaning. My advice to NASA: Boldly go. Have fun with this. It's been so long since NASA made effective use of its incredible talent (and now hair) to strengthen the case for space exploration. 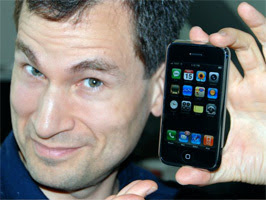 Did social media find David Pogue's lost iPhone? Ah, no. Social media is a fantastic tool to activate and empower audiences. It's an exciting part of a marketing tool kit. Only part. However, David's own story seems to suggest a less extraordinary tale. I contacted the Prince George’s County police department.....By the end of the day, the local police were actually at the house, with me on the phone. The Find My iPhone function disclosed the device location and David called the cops. Pogue has more than one million Twitter followers. Many offered to help and did spread the world. But this case seems solved by what Crimestoppers would call dropping a dime. Twitter did not find his phone.